engine selection: 152 (4cyl) $217.86196 standard cooling (4cyl) 196 inproved cooling (4cyl) 266 or 304 or 345 or 392 V8 $217.86241 Tilt Valve $277.75220 Standard Compression 220 High Compression 240 early (1956-1957) 232 AMC Eng. 258 AMC Eng. 401 AMC Eng. 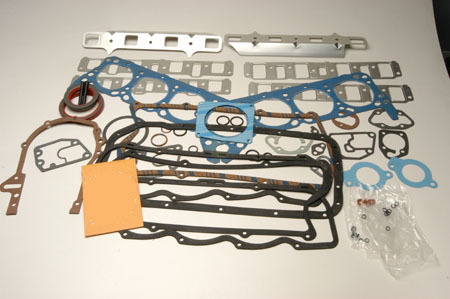 These are complete gasket kits for IH 152 through 392 engines. Perfect for any engine rebuild!